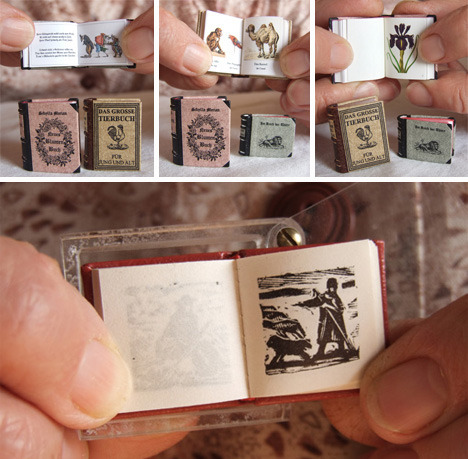 Ohhh, now I really really want a collection of microscopic books like those. I'll fill my pockets with them, I'll make jewelry with them. I'd never be without one. And, I guess, I'll be needing a big old Sherlock Holmes magnifying glass, If I want to see what's actually in them. You always post the best pictures on Wednesdays!!! They are really neat aren't they? :)The time and effort someone put into those little books is so amazing. They actually have all of the text of the books written in them too. Hahaha that would be lovely!